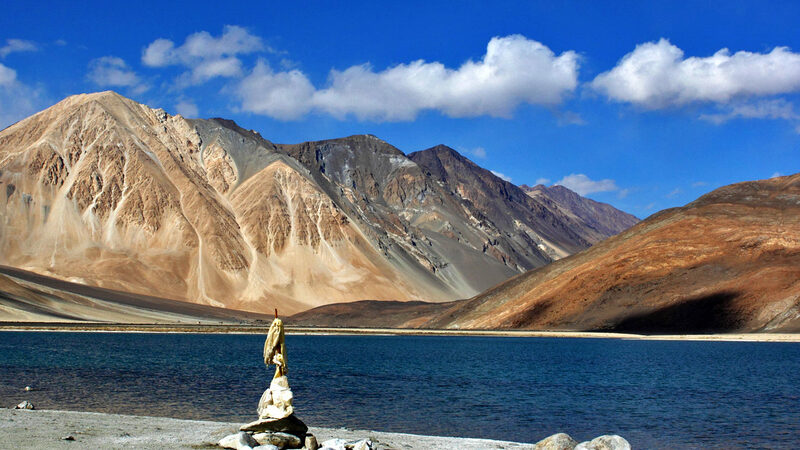 This is an introductory tour of Ladakh which is people who do not have the time for a long vacation. 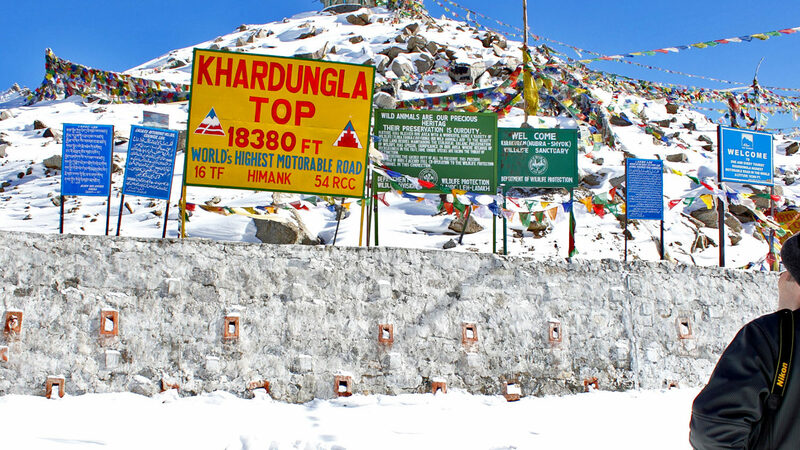 Though it primarily covers the 2 most popular destinations ofNubra and Pangong yet there is a lot to be seen and experience in the Trans Himalayan region of Ladakh. 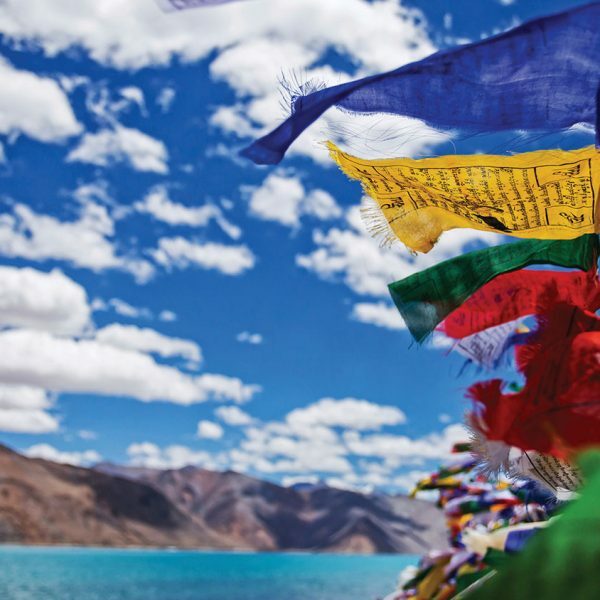 Most of Ladakh is at an altitude of more than 3000m so you need to get acclimatized before you can set out to travel. Your body needs to adapt to highaltitude, as the higher you go, the air becomes rarified and the oxygen available for you to breathe becomes lesser. Even though your body is capable of adapting to ‘thin air’, you need to give it time to do so. This is what is called acclimatization. We recommend Diamox medicineto counter the effects of Acute Mountain Sickness. However, PLEASE CONSULTDOCTOR before you start your course. Buffet meals will be provided at the hotels. The meals provided at hotel / Camps have a time schedule, please follow timeto avail timely meals. Heating will not be available at hotels. Remote areas have regular power outages. Don’t expect 24hrs electricity. 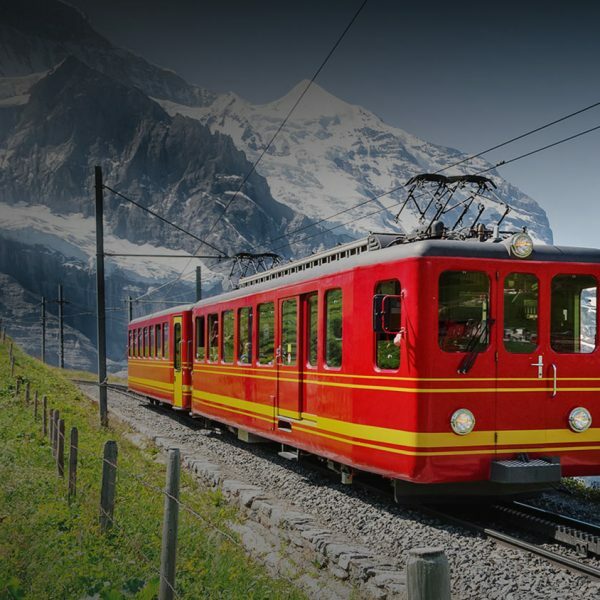 Vehicle provided will be as per the itinerary and not at disposal. People with Heart disease / High BP / Obesity / Cervical and Spine problems / pregnant women are advised not to travel to Leh as they will face health problems while travelling. Welcome arrival at Leh airport and transfer to hotel. Complete day for rest and leisure to acclimatize to the high altitude region of Ladakh. 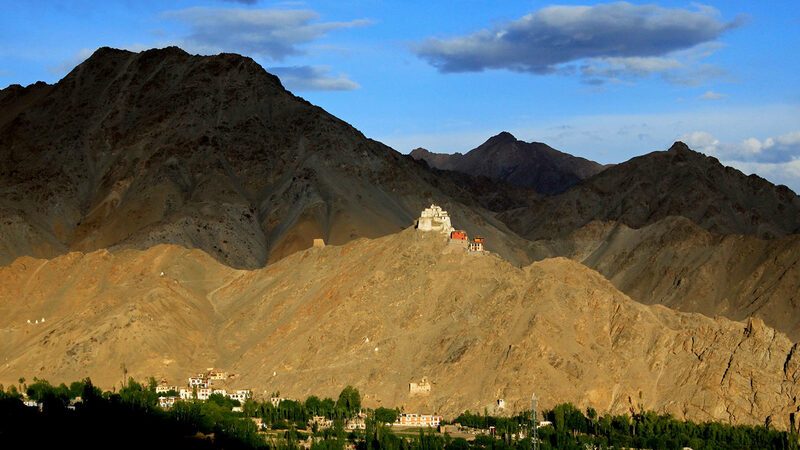 Most of Ladakh is at an altitude of more than 3000m so you need to get acclimatized before you can set out to travel. Your body needs to adapt to high altitude, as the higher you go, the air becomes rarified and the oxygen available for you to breathe becomes lesser. Even though your body is capable of adapting to ‘thin air’, you need to give it time to do so. This is what is called acclimatization. If you are comfortable then you can visit the Leh market & Shanti Stupa in the evening. Post breakfast we drive on the Srinagar highway and start our day by visiting the Hall of Fame Museum constructed by the Indian Army, Gurudwara Patthar sahib built by the Lamas of Leh in 1517 to commemorate the visit of Guru Nanak Dev. Further we experience the Magnetic hill which defies the law of gravity. We stop at the confluence of the Indus and Zanskar rivers and later we drive back to the hotel in Leh. After an early breakfast we drive to Nubra valley crossing Khardungla pass -the highest motorable road in the world at 18,380 ft. Nubra is a tri-armed valley located to the north east of Ladakh valley. Diskit the capital of Nubra is about 150 km north from Leh town, the capital of Ladakh district, India. Local scholars say that its original name was Ldumra (the valley of flowers). The Shayok River meets the Nubra or Siachen River to form a large valley that separates the Ladakh and Karakoram Ranges. The Shayok River is a tributary of the Indus River. The average altitude of the valley is about 10,000 ft. i.e. 3048 metres above the sea level. Visit the Diskit monastery and the Hunder sand dunes to enjoy a camel safari (optional). Check in and enjoy your evening at the campsite. After your breakfast at the camp, we drive to Pangong Lake via Shayok. This is a recently opened route. Pangong Lake situated at 14,000 feet (4,267 m) is a long narrow basin of inland drainage, hardly six to seven kilometer at its widest point and over 130km in length. It is bisected by the international border between India and china. Enjoy the landscape in the back drop of the lake. One rarely feels so close to nature and environment and the scenery is unforgettable. Spend your evening at leisure and stay overnight at a camp near the lake. Spend your morning at leisure to explore the beauty of lake. After breakfast drive back to Leh. Tour concludes. We thank you for your patronage and ensure a punctual transfer to the domestic airport.